I spent a pleasant few hours this evening going through my to do list and clearing out easy micro bugs, including weird little issues in the donations area that only affect a small number of folks. Fire updated the donations area for the higher level donations to make sure that Solve Et Elucido is showing up properly. 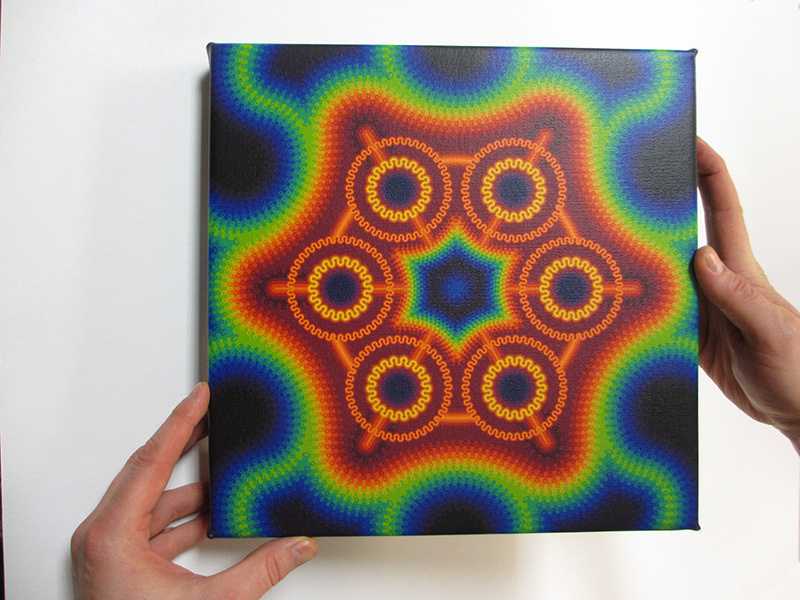 We’re very happy with Vibrata’s artistic play on the Erowid logo and really like the small 12×12 inch (30x30cm) size. We know it’s out of the price range of most of our supporters, but one of the curious things about trying to fundraise for a non-profit is the need to have items available at a number of levels. So, along with creating a new Drug Geek shirt and working on stickers for normal supporters, we have to work on developing unique items that can be available only to people able to donate hundreds or thousands of dollars. Today I also fixed a couple of small issues in the Experience Vaults that was causing certain types of reports marked for Admin Attention to get lost because they fell out of the review process into a bucket that was rarely looked at by the team, instead of having reports highlighted. The Erowid team has used a lot of different communication methods for internal and external info over the years, but we’ve never had a public crew blog. We’ve had a dozen wikis, a number of blogs, CRM ticketing systems, email, forums, Twitter, plain text, HTML, absurdly complicated database systems, IRC, other chat formats, posting through other organization’s publications and systems, interviews, and conferences. The plan is to use this crew blog as a random mix of items that will provide additional public visibility of what it is we’re working on. It is likely to be extremely boring, mixed with rants, system updates, and commentary about anything the main Erowid crew decides to post. We will, as always, try to keep the tone respectful and upbeat, but most of us can’t actually contain our disdain for people, organizations, and publications that lie publicly. Personal attacks are off limits except for critiques of top-tier public officials who abuse their bullypulpits.